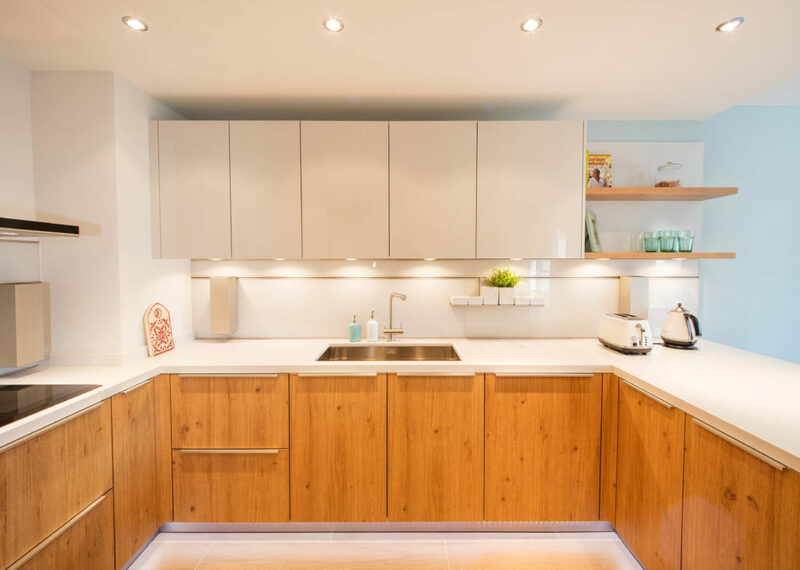 Monika and David first stopped by our showroom after they read about us in The National and they were curious to know how the team at Goettling Interiors would approach their kitchen renovation project. 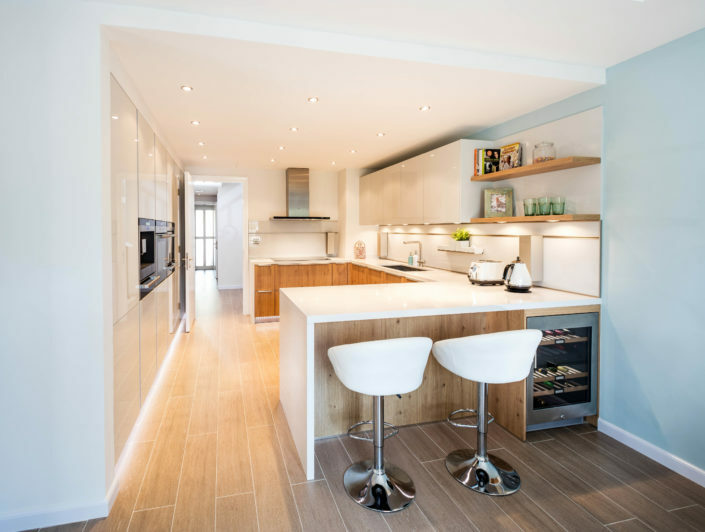 They wanted their kitchen to have that warm and cozy feel and have all the functionality and features one expects from a German kitchen solution. 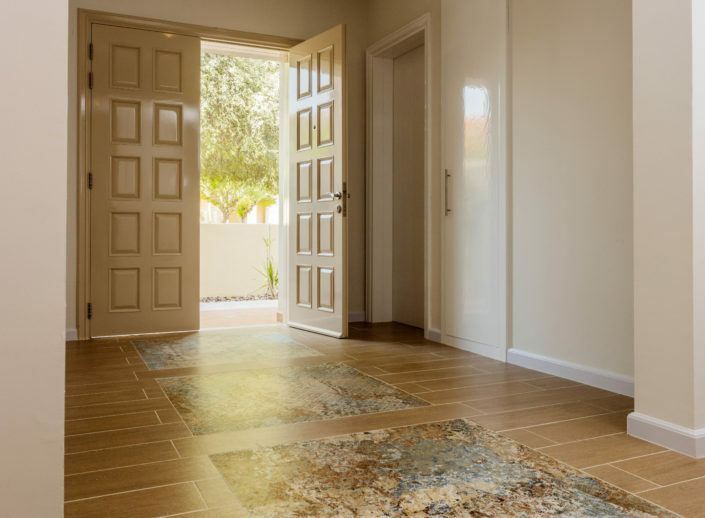 And a one-stop-shop solution with the assurance that everything would be done on time as they had a baby on the way and with David’s hectic flying schedule and they hoped for a stress-free renovation experience. We chose a two-toned palette of high gloss Crystal Grey and layered it with Natural Knotty Oak for a warm contemporary urban look and framed the kitchen with Extreme Iceberg White from Quartzforms for the counter-top. 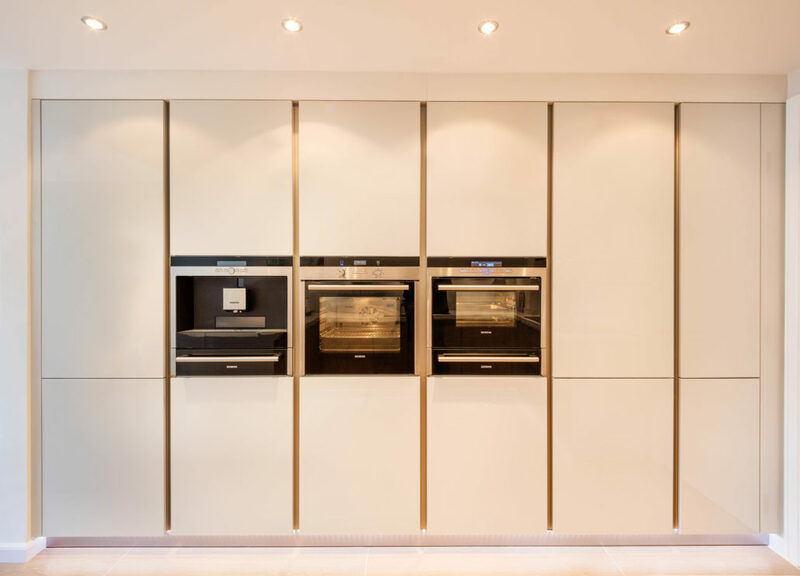 We designed an appliance wall featuring the latest from Siemens iQ700 range of Oven/ Steam Oven/ Coffee Machine keeping everything at eye-level for the ease of cooking and the integrated cooling appliances were selected from Liebherr. To finish the look and give this kitchen added functionality and storage, we added the multi-faceted Cube System that transforms the backsplash to a style statement. »So the kitchen is now finished and and it looks and performs brilliantly. We just wanted to let you know that your team did and exceptional job. Each and every one of them were very professional and did their work to the highest standards from which you obviously bestow onto them. They are a credit to you and I’d like to say a special thank you to Nikos who headed the job. His attention to detail is second to none and a perfectionist. Which being one myself I found to be very satisfying. Anything I pointed out that was not 100% right in the beginning, was rectified quickly and correctly, without taking any shortcuts. There were also a few things that I didn’t even see which your team pointed out and fixed. So a special thanks to all of them. 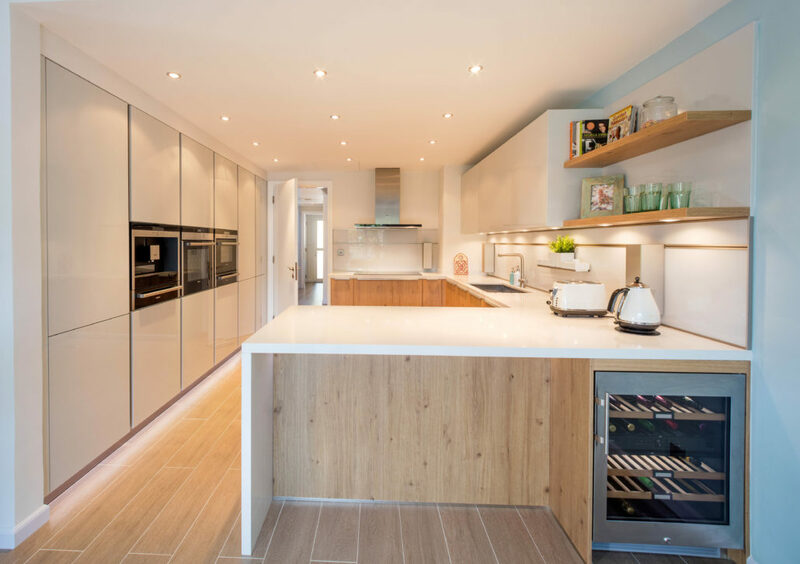 We could see the product in the showroom was very good and of high quality but it was your detailed work ethic, professionalism and charisma that convinced us to go with Goettling Kitchens«.